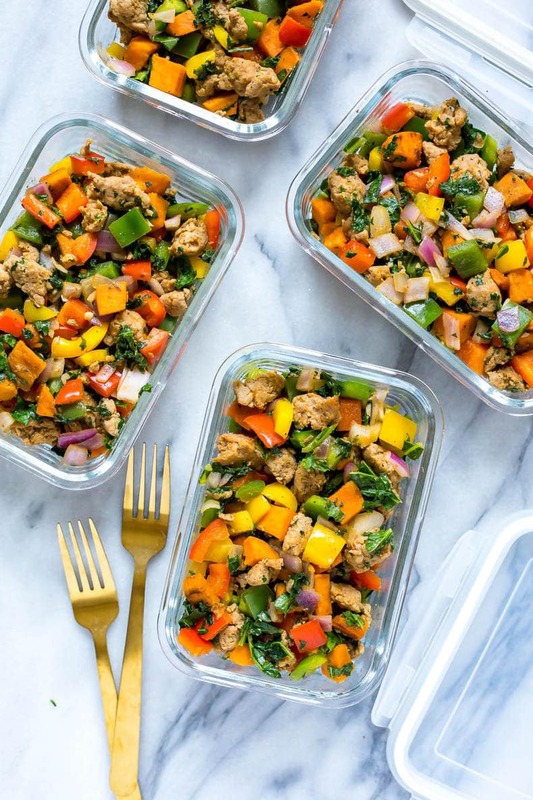 This Meal Prep Whole 30 Sweet Potato Hash is a delicious make ahead breakfast option for busy weekdays and it's jam-packed with protein! It's also a great savoury breakfast option that is egg-free! 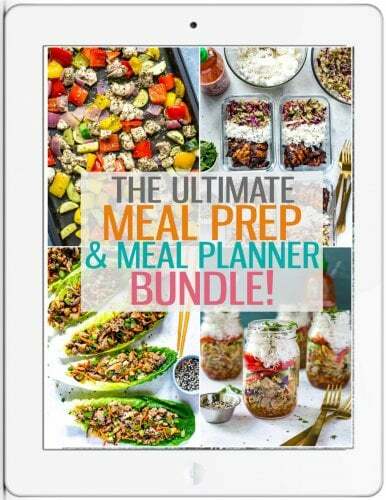 Are you like me and tend to go for more savoury options when it comes to breakfast meal prep? Personally, I'm not a fan of sweet in the morning. The odd cheat day I will happily wolf down an almond croissant or a blueberry cheese danish, but when that's not an option (sadly I could not eat like that everyday lol! ), I'm not the type of person to settle for a bowl or cereal or some oatmeal. It's no secret that I actually don't really like many breakfast foods, but I force myself to eat breakfast because I just don't think it's healthy to skip it. So what's a girl to do except to meal prep a delicious breakfast for the week?! 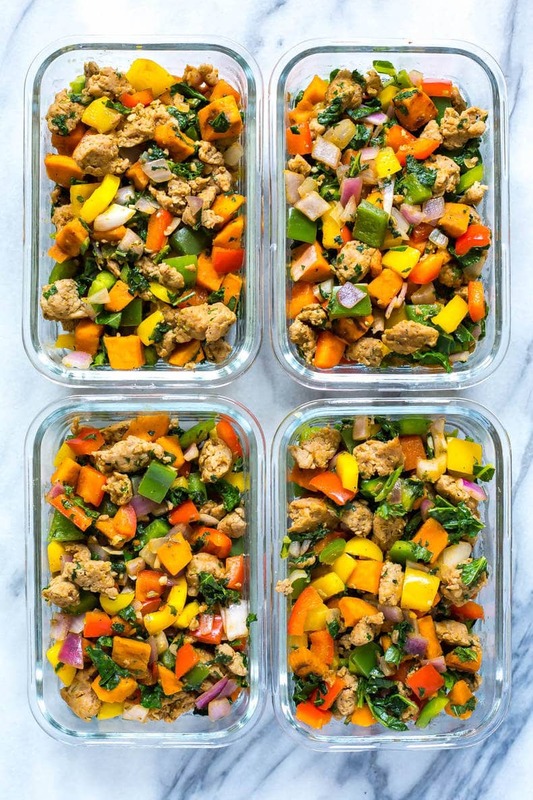 This Meal Prep Whole 30 Sweet Potato Hash is a tasty breakfast option that's perfect for packing up and taking with you to work on the go, and it's also a unique eggless option for those of you who are allergic to or just don't like eggs. This Gluten Free Thanksgiving Stuffing is another great option that's similar to this sweet potato hash but uses butternut squash if you're looking for more breakfast hash recipes! One of my close friends actually informed me that she doesn't care for eggs and isn't a fan of super sweet breakfasts like pancakes and waffles, so she really struggles to find a nice savoury option when she goes out for brunch with friends. Someone should tell these restaurants about sweet potato hash – leave the eggs out of it! 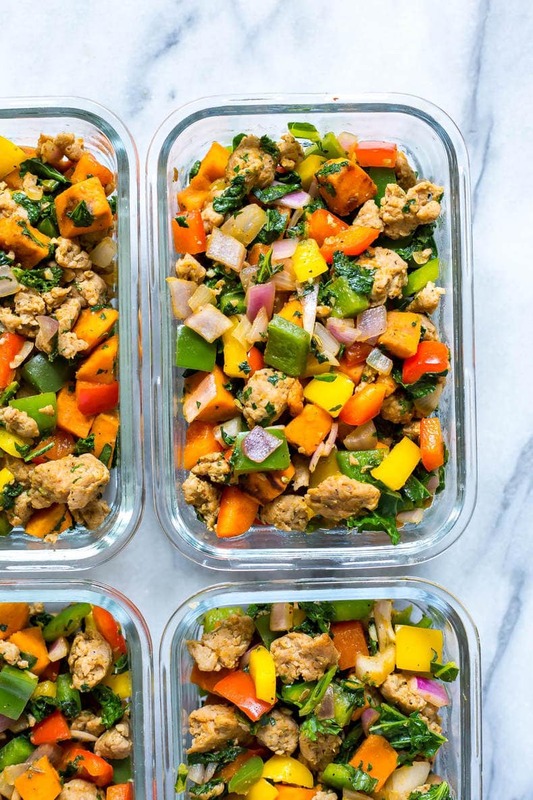 Now this sweet potato hash is super simple and easily customizable so you can use whatever veggies you have lying around in the fridge. You could also technically use regular potatoes or leftover potatoes too! 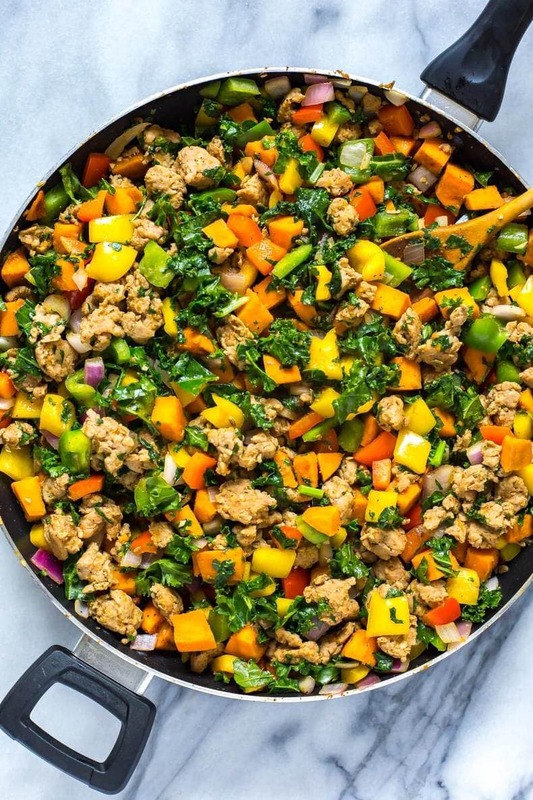 I just like the sweet potatoes to add more colour and to be a little less starchy – there are more nutrients in sweet potatoes and they pair so well with the turkey sausage that I would try to stick to using them, but it's really up to you to make this breakfast hash your own! 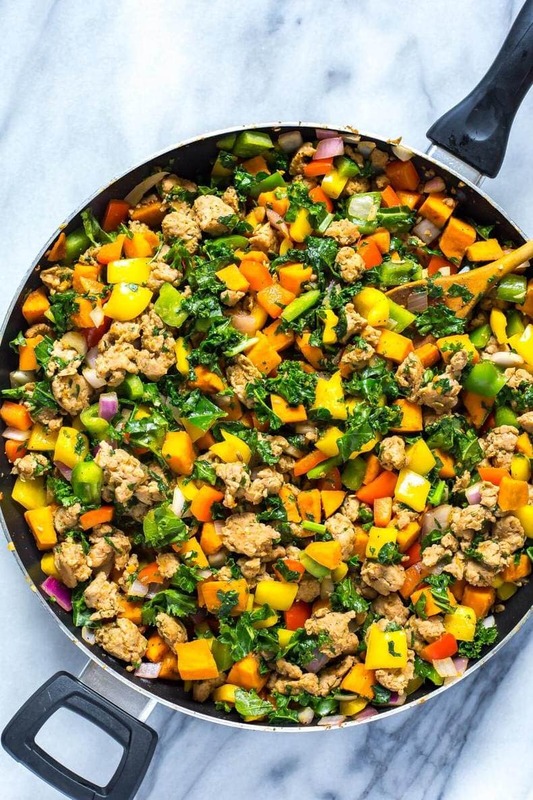 I usually like to use a couple different colours of bell pepper and then I'll add in some onions and kale, or another leafy green like spinach. Onions and garlic in particular act as flavour profiles and extra added veggies, then from there you'll need to look in your pantry for some spices. In a pinch you can just use salt and pepper, but in this sweet potato hash I use chili powder for an extra kick, although smoked paprika would also be amazing! 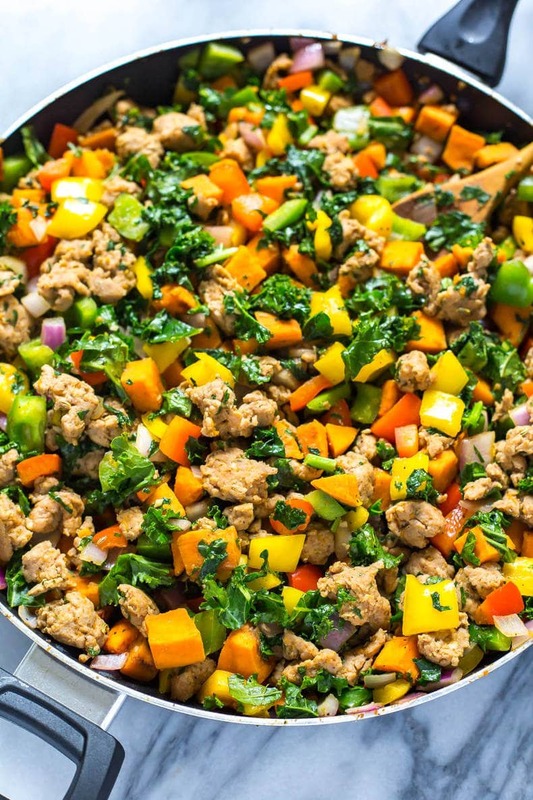 Once you've figured out what veggies you're going to use, you need to make the turkey sausage for this sweet potato hash. 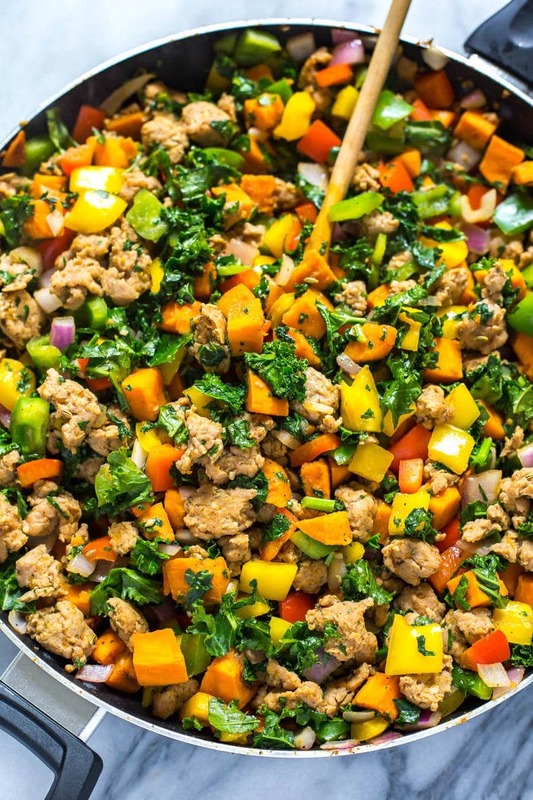 Technically you can actually make the turkey sausage ahead of time and freeze it for recipes like this, but I will often just use fresh turkey because I have a hard time not making this sausage when I have all the ingredients on hand because it's so good! 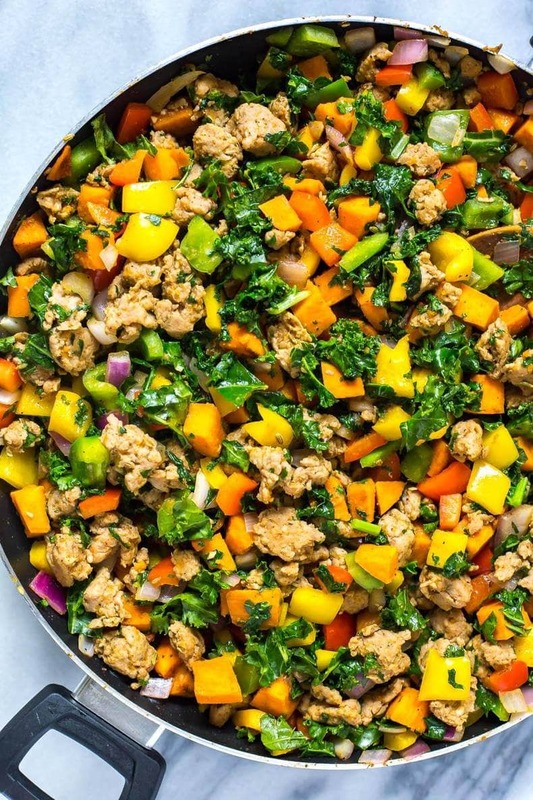 Most breakfast hash recipes will usually tell you to use store-bought sausage and remove the casing but I find it's actually easier to just buy a pound of ground turkey or chicken and then add some seasonings. The main ingredient you're going to want is fennel seeds so as long as you have those on hand there's no need to buy pre-made sausage. I also strangely find that most turkey sausages still using pork casing and I don't eat pork so I often end up screwed out of being able to eat sausage, LOL! 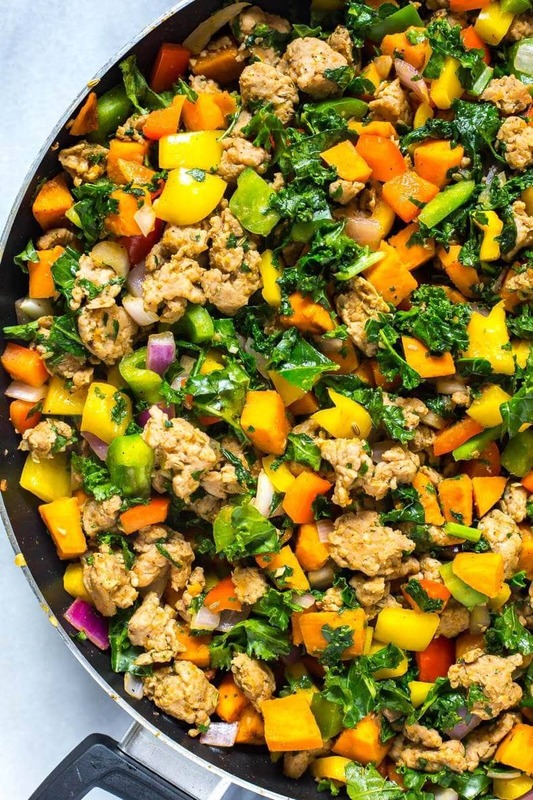 If you were to ask me why I don't eat pork it's mainly because I believe you can find lower calorie alternatives that are much healthier for you, and in most cases you can just take ground meat, season it and make it your own anyway so I tend to avoid foods that are more processed in nature for the most part. One of the best parts of this sweet potato hash recipe is that it comes together mostly in one pan so you don't have to wash a bunch of dishes. 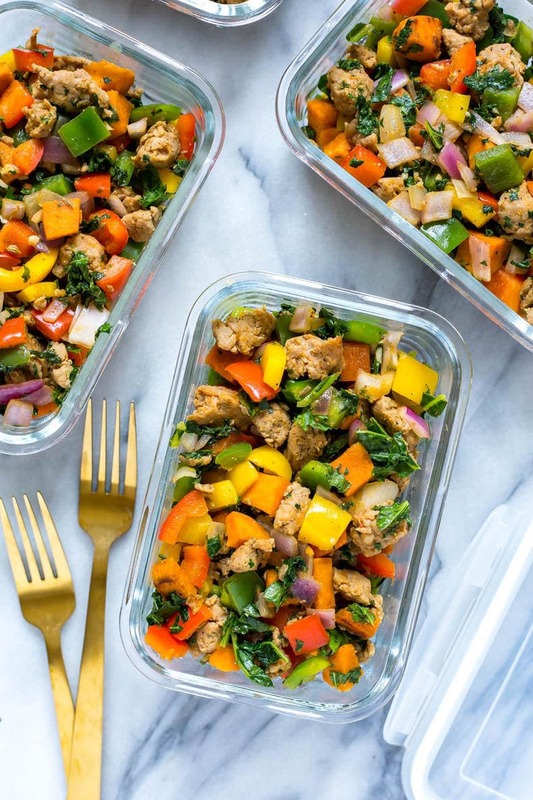 And the leftovers will last in the fridge up to 5 or 6 days and it packs really well for work so you can also take it with you and reheat it on the go – just make sure to use square glass meal prep bowls to reheat it safely! 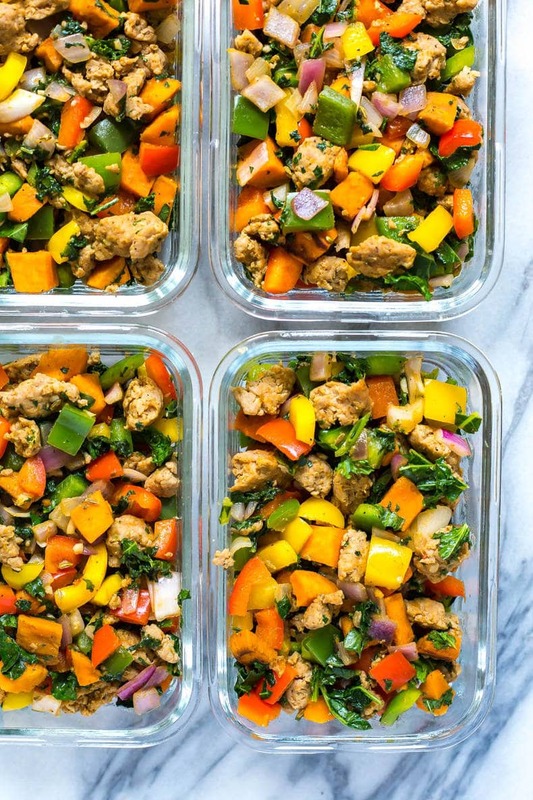 Will you be making this Meal Prep Whole 30 Sweet Potato Hash? 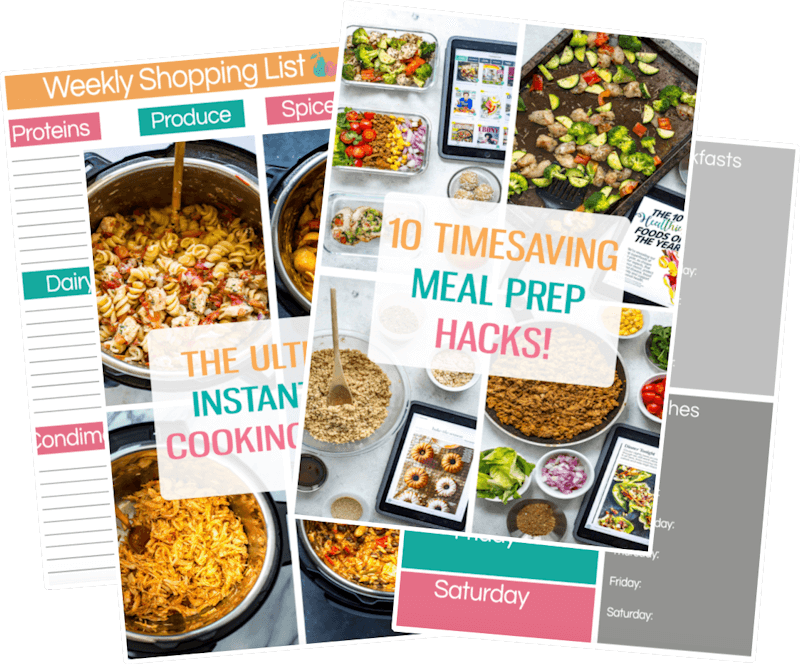 This has got to be my most favourite breakfast meal prep recipe yet!!! So flavourful and healthy, takes under an hour and is super customizable in terms of flavour. Preheat olive oil in a large skillet over med-high heat. Add sweet potatoes and half of chili powder, plus a sprinkle of salt. Saute for 15-20 minutes until softened, stirring occasionally. Meanwhile, mix together ingredients for sausage. Add to skillet once sweet potatoes have cooked 15 min, breaking up sausage with a spoon and cooking for 3-4 minutes until browned. Add in bell peppers, onions, and remaining chili powder and salt & pepper, cooking another five minutes. 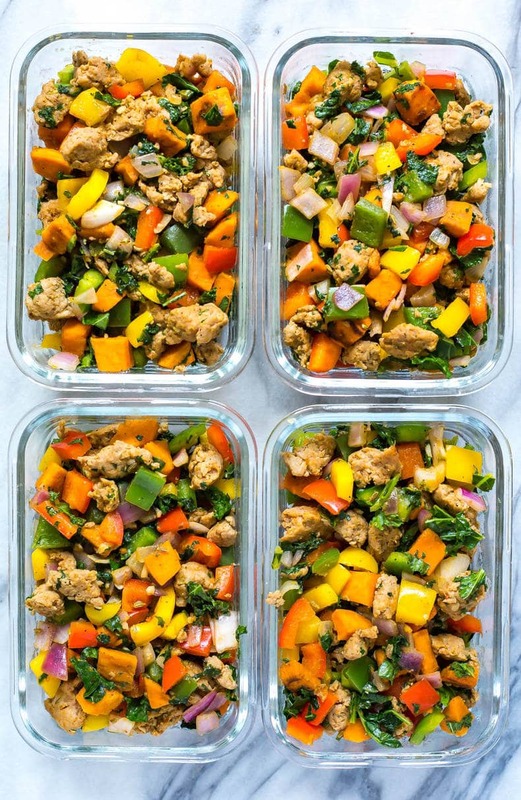 Stir in kale and remove from heat, then divide among 4 glass meal prep bowls. Serve and enjoy - will last in fridge up to 5 days. This breakfast sweet potato hash was super good! Sitting in the break room, I got asked by almost everyone that walked in what I was eating because it smelled and looked so good! Also showed them the blog and several were going to go home and subscribe tonight! So happy that all three meals I have made so far have turned out to be delicious, easy for an amateur like me to cook, and have left me satisfied and full without feeling stuffed/bloated! OMG I’m so happy to hear that!!! Thank you so much for sharing my blog Allison that means so much to me! 🙂 I’m so happy you’ve liked the recipes so far!